The Bucket List is based on the dreams, experiences, and ambitions that we all want to live out before we die. The writer of the film, Justin Zackham, wrote the film based on his very own bucket list that he created. All of the locations that our main characters go to were taken from Zackham’s list, showing how much of himself was put in to the film, making it very personal and reflective. This film was a way for him to live out the things on his list that he hasn’t been able do and in the process was a way for all of us to come along on an exploration and beauty of the world and even the things that aren‘t so far away. Carter Chambers (Freeman) and Edward Cole (Nicholson) are two very different people whose sickness brings them together. They are both cancer patients who end up sharing the same hospital room. On the outside they seem to be opposites. Carter is a mechanic who has only been with one woman, his wife, Virginia (Todd). He also had aspirations of becoming a history teacher, but never had the chance to accomplish that goal. Edward on the other hand, has been divorced 4 times and has many other very casual relationships and flings in between. He is a wealthy corporate mogul who has been making good money since he was 16. Both are in the room together, sharing the same disease and fate. 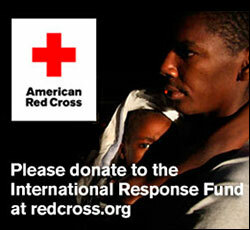 They both learn that neither of them has very long to live; around 6 months to a year at the most. Reflecting on his life. Carter remembers his first semester of college when his professor had the class write a bucket list, the things they wished to do before kicking the bucket. He begins writing a more current list, but quickly gives up on it, since it seems his life is already over now. Edward convinces Carter that they might as well go out there and have some fun, rather than sit around with everyone feeling sorry for them and watching them die. They create a list together and start doing everything on it. They go to France, the great wall of China, The Himalayas, and sky dive. Along the way they share a lot of their experiences and insights on people, life, and what may lay ahead of them after they die. During the course of this, we learn more of Edward’s past and that the most important thing to him, hasn’t been in his life for a long time. This is all because Edward put their needs and well being ahead of his regarding the relationship. Carter tries to push this to be an item on the list, so Edward can make amends. This is a horrifying thought to him, causing him to lash out, and putting an abrupt ending to their trip. In the end, they both knew it was time for it to end so they could both spend time with the most important thing in their lives: family. Morgan Freeman and Jack Nicholson were an obvious and excellent choice to be playing the two lead roles trying to get the most out of the life that they had left. They are two of the most gifted older actors out there who consistently make accomplishments in their life and make work with the potential to affect others as well. The two of them really work together wonderfully. Freeman gives the insightful, caring, and personal side while Nicholson gives us the comical and daring side. Beverly Todd as Freeman’s wife does very well too. She shows authentic concern and desperation to spend the time that her husband has left with him. I also enjoyed the appearance by Freeman’s real life son, Alfonso Freeman, who plays his son in the film. 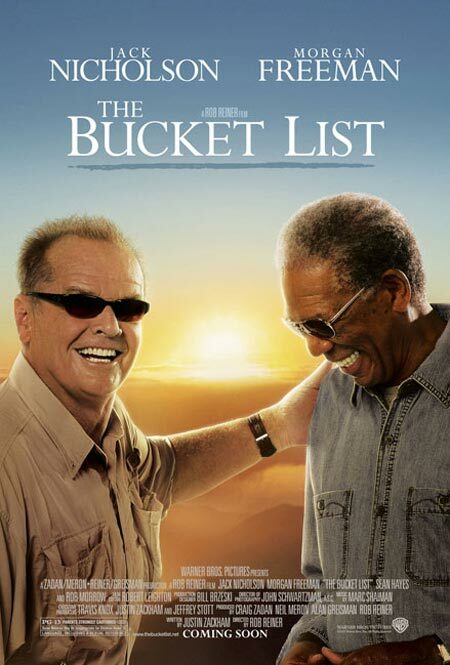 The Bucket List is a film that should be able to speak to everyone since I think everyone should have an experience like the one Carter and Edward have. It is the kind of thing that not only gets you outside of the bubble you live in and experience the rest of the world, but it is a way for you to share this and really connect with another individual. The most important thing that the film does though is showing that you are never too old to find self discovery. Really that coming to terms with oneself, is what adds the youth back to you, enriching your relationships and making yourself content and ready to accept your fate. The Bucket List is a good film with talented, iconic actors who are metaphoric to the meaning of the film themselves and enhance the film to take the audience on a journey full of discovery.